Product information "ART Dual RDB"
The ART Dual RDB is the perfect reamping interface and a high-performance device for professional purposes. With this product, it's very easy to take line signals and to boost them to microphone- and instrument levels. A simple way to record guitars, bass and more. 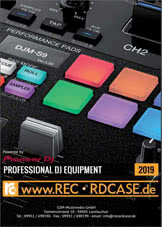 Any application where stereo or dual line level signals from recording interfaces, computers, mixers, iPods, consumer audio or video machines need to be connected to XLR microphone or ¼-inch instrument level inputs, the ART Dual RDB represents a great support. The unit has two high quality isolation transformers that prevent ground loops when connecting various systems together. 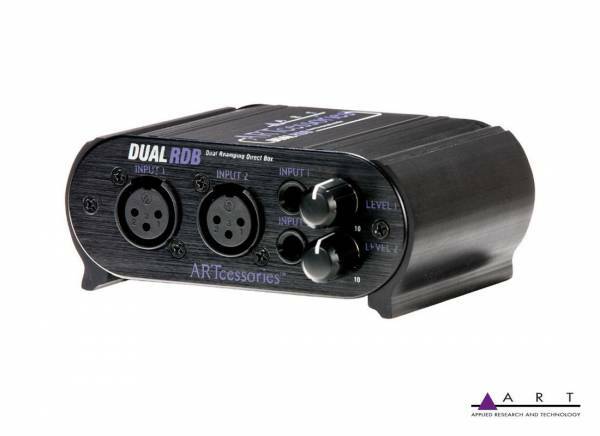 The ART Dual RDB accepts 1/4" TRS and XLR line level inputs and outputs mic or instrument levels. Its variable level controls allow volume control to be set at the source rather than in the studio, AV room, audio closet or installation rack. A 20Hz to 20kHz frequency response ensures the ART Dual RDB will function transparently with any high quality audio source. Be the first who writes a review for: "ART Dual RDB"